Dr. Margeas graduated from the University of Iowa College of Dentistry in 1986 and completed his AEGD residency the following year. He is currently an Adjunct Professor in the Department of Operative Dentistry at the University of Iowa. 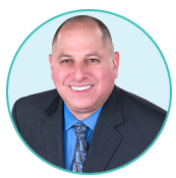 He is Board Certified by the American Board of Operative Dentistry and is a Fellow of the Academy of General Dentistry. He has written numerous articles on esthetic and implant dentistry, lectures and presents hands-on courses on those subjects. 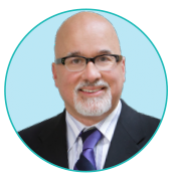 He serves on the editorial board of Contemporary Esthetics and is a contributing editor to Dentistry Today and Oral Health. Dr. Margeas maintains a private practice focusing on comprehensive restoration and implant dentistry in Des Moines, IA. This lecture and live demonstration will show dentists how to create composite overlays and alter the vertical dimension to treat the worn dentition. Live fabrication of stents and the use of silicone dies will allow dentists to see first-hand how to fabricate. Techniques learned can be incorporated immediately into practice. Prototypes will be discussed and shown to test drive cases of wear. Bonding for long term success will be addressed. This lecture is intended for dentists and technicians. Dr. Fred Peck is a third generation dentist practicing in Cincinnati, OH for over 30 years. Dr. Peck is a graduate of the Ohio State University College of Dentistry and completed his residency at the University of Pittsburgh Medical Center. He has been focusing his practice over the past several years on full mouth reconstruction and cosmetic treatments with a high tech approach. Dr. Peck is an Accredited member of the American Academy of Cosmetic Dentistry and a Fellow of the International College of Dentists. He has presented topics at several major dental meetings on cosmetic dentistry, dental lab communication and direct resin bonding including hands-on seminars. He is active in the Cincinnati Dental Society and a member of the scientific program committee and program chair several times. He is Chairman of Utilization Review/Quality Assurance and is on the Board of Directors of Dental Care Plus, a Cincinnati based dental insurance company. This seminar will include a systematic approach to accurately analyze a patient’s dental condition, including occlusion and smile deficiencies. Photography is essential along with proper diagnostic protocols. Treatment and material options, both direct and indirect techniques will be reviewed to achieve a successful final result. You will learn a step-by-step approach to recreating a natural dentition and smile. You will also learn how to create an aesthetic preview prior to advanced treatment, test drive treatment scenarios, repair trauma and more. This course is designed for the dentist that wants to improve predictability in anterior aesthetic dentistry, whether you are restoring just a few teeth or designing a new smile.